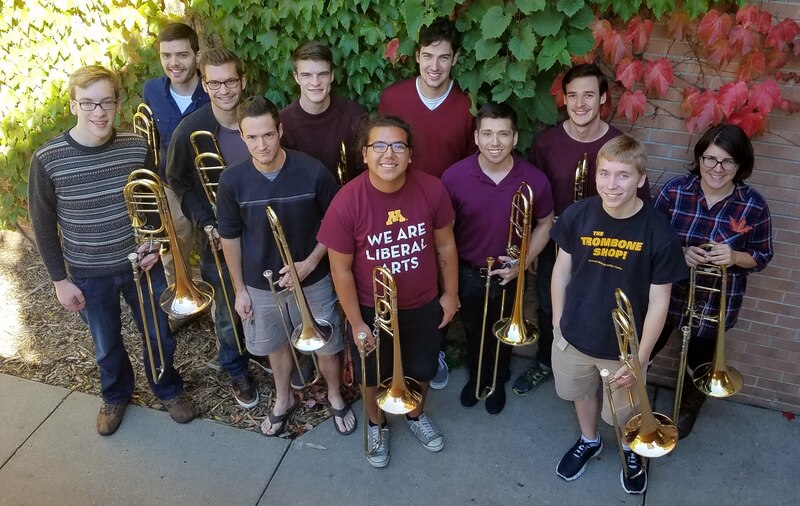 On Saturday, April 6, the University of Minnesota Trombone Choir will be performing at the second annual Schmitt Music Trombone Day in Brooklyn Center. The Choir is pleased and proud to be having Mr. Henry Charles Smith III as our guest conductor! 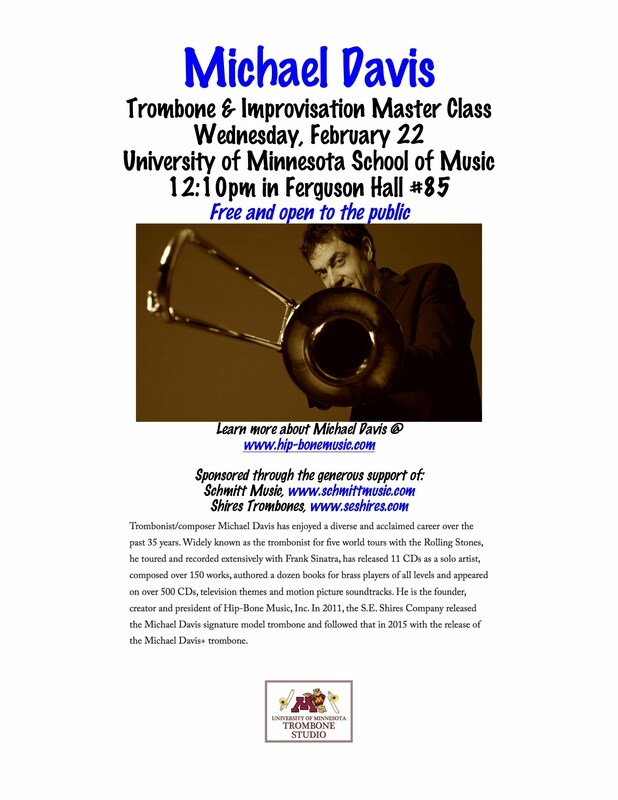 The concert will begin at 12:45pm, and it will also feature Mr. Smith and UM Trombone Professor Tom Ashworth speaking on the topic "Developing Versatile Musicians in Trombone Choir". 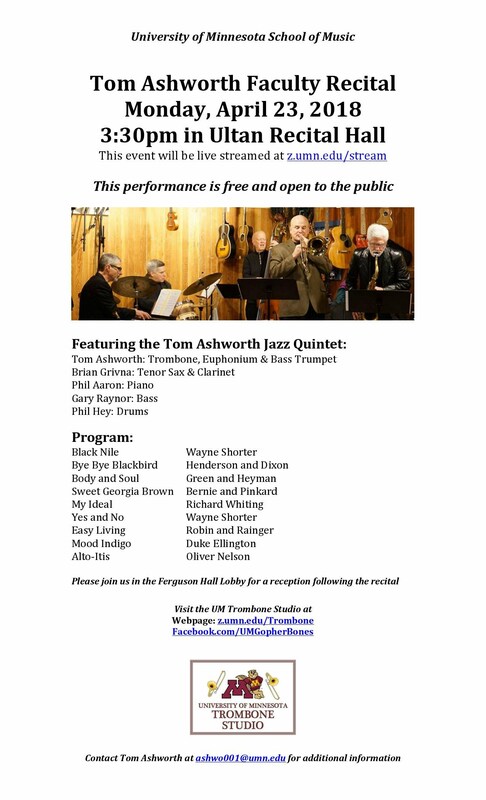 The concert will include music by Simpson, Holborne, Carmichael, Crespo, Verdi, Gershwin and Pederson. Graduate trombonist Steffin Medina will also be conducting and senior bass trombonist Justin Bain will be the soloist on Pederson's "Blue Topaz". Please see the link below for complete event information. On April 8, the Choir and Mr. Smith will be presenting a 4:15pm outreach concert at Johanna Shores Senior Living in Arden Hills. The Choir has performed there many times over the years, and we always look forward to playing for a large and appreciative audience in their beautiful concert space! Jazzy holiday music by the Choir and a carol sing-a-long! 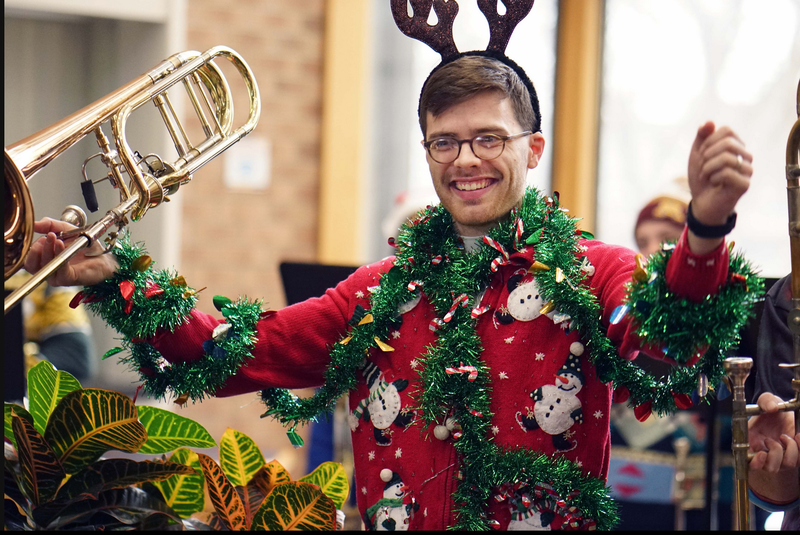 Wear your ugliest sweater and compete for the coveted bedazzled trombone trophy! Treats and beverages provided, too! I would like to thank all of the talented trombonists (from Minnesota, Wisconsin, Nebraska, Oregon and Oklahoma) who have auditioned for Fall 2019 admission into our Music Minor, BA-Applied, BMued, BM-Performance and graduate trombone programs. I appreciate all of you taking time to meet with me prior to your auditions, and am very pleased you are considering the University of Minnesota! Please do keep in touch in the coming weeks, and feel free to contact me if you should have any questions. Thanks to the Shafter Press for the nice article about my recent clinics at area schools (we have four kids and five grandkids-so far). And, a big thanks to band directors Mr. Martinez and Mr. Bustamante for leeting me work with their students! UM Trombone Studio alum Dominic Gaietto (MM 2017) has been selected to play lead trombone with In the Mood, a touring musical revue of 1940's big band music. Following a September 2018 California tour, Dominic will be off to Australia for five weeks of swing and sunshine. Presenting Dr. Zachary Gingerich and Dr. Marco Samperio! Please see the Student Success link for an updated list of our stellar UM Trombone alumni. If you are a UM Trombone alum, please contact me if I need to add or update your current info. 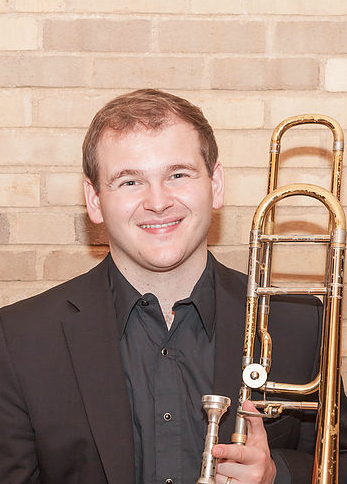 UM Trombone alumnus Ryan Christianson (BM-Perf. 2017) will be the guest artist at our Wednesday, April 25 Trombone Studio Class. Ryan is a member of the Dallas Brass, and also performs regularly with numerous classical and jazz groups in Minneapolis and Chicago. Ryan will be doing a bit of playing, talking about his post-UM professional life and coaching several UM Trombone students. UM Trombone students have also participated in the Brevard Music Festival, Eastern Music Festival, Alessi Trombone Seminar, Cleveland Trombone Seminar, Mulcahy Trombone Seminar, Tanglewood Music Festival, Wintergreen Music Festival, Lindberg Trombone Seminar, Sewanee Music Festival, Disneyland All-American Band and the American Trombone Workshop. I would like to thank all of the trombonists who auditioned for Fall 2018 entrance into our undergraduate and graduate programs! I enjoyed meeting you and hearing your auditions, and will stay in touch during the coming weeks. Please do feel free to contact me if you have any questions. If you are considering applying to the UM School of Music for Fall 2019 entrance, please contact me ASAP to chat about your educational and career goals, and to schedule a pre-audition lesson. 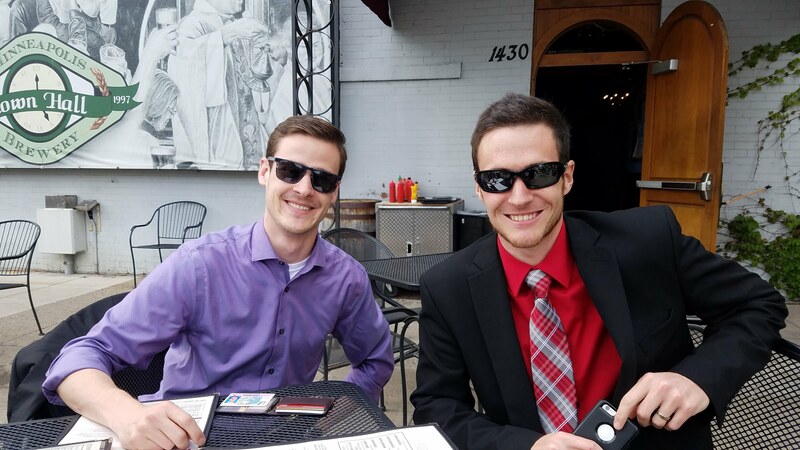 Congrats to Zachary Gingerich and Marco Samperio for passing their preliminary doctoral written exams! I look forward to working with them on their final doctoral projects and adding their names to the list of fine musicians who have earned the DMA in Trombone at the University of Minnesota. All of these recitals will feature pianist Leah Siltberg, as well as the UM Trombone Quartet. Jazzy trombone holiday music, a carol sing-along, tacky attire, and free beverages and treats! Wear the ugliest sweater and win the coveted Holiday Trombone trophy! will soon begin his new career. Congratulations Dr. Gregory! Dr. Leahy and the Prof.
Justin Bain, 3rd year Perf. 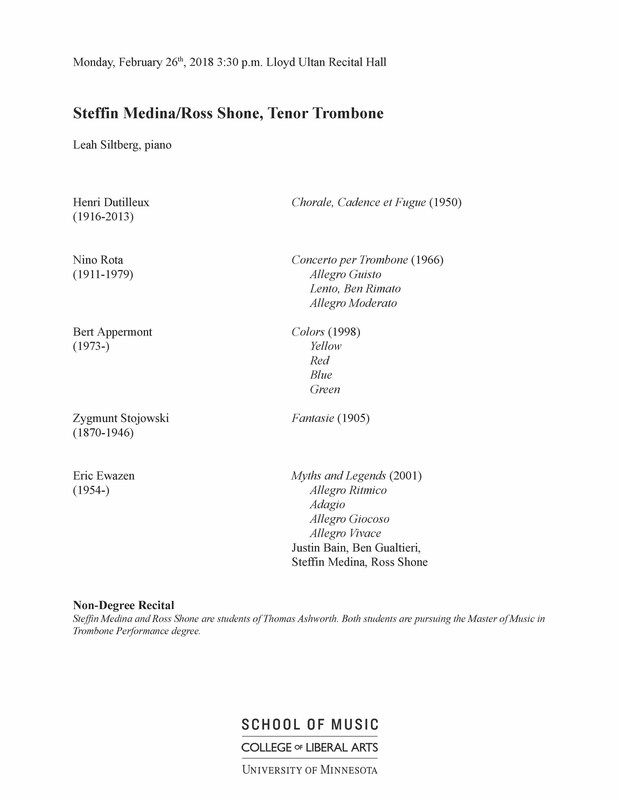 Welcome to the University of Minnesota Trombone Studio web page! I hope you find the content helpful, and I encourage you to contact me if you should have any questions. 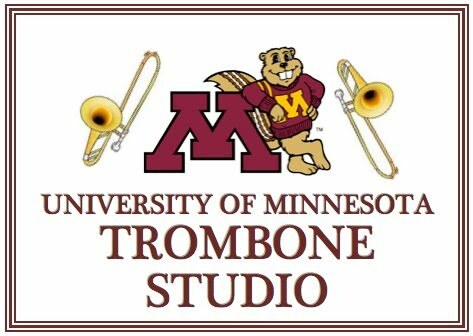 Additionally, I invite you to visit the UM Trombone Studio Facebook Page at facebook.com/UMGopherBones. Click on the following link to download the text of this web page: Download this info (.pdf). 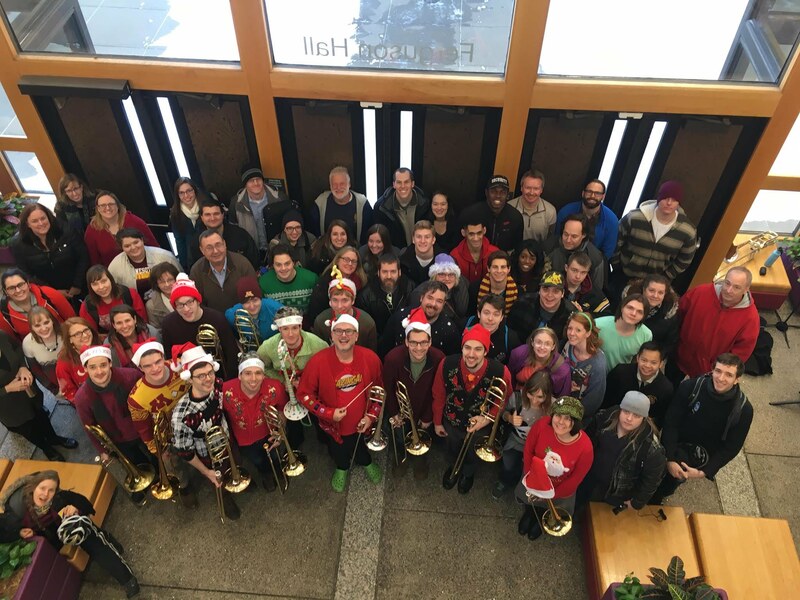 The University of Minnesota Trombone Studio includes undergraduate Performance, Music Education, Music Therapy and BA-Applied majors, along with graduate students pursuing the MM and DMA degrees. We also welcome Music minors, elective/non-major students and high school PSEO students. We look for talented and motivated students who will enjoy being inspired and challenged by our faculty and students. 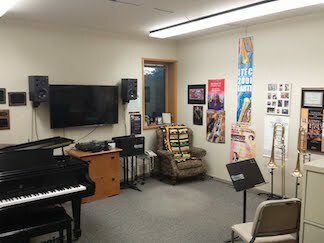 If you are looking for a supportive, focused and productive learning environment in a Trombone Studio with a proven record of success, please consider the University of Minnesota School of Music. Music majors will study with a UM Trombone faculty member and will not be assigned to a Teaching Assistant. There will be room in our major ensembles for every Music major. Music majors will not be over-committed in their ensemble assignments, and will have ample time to study and practice. Undergraduate and graduate students will often play in the same ensembles, creating a very healthy mentoring environment. 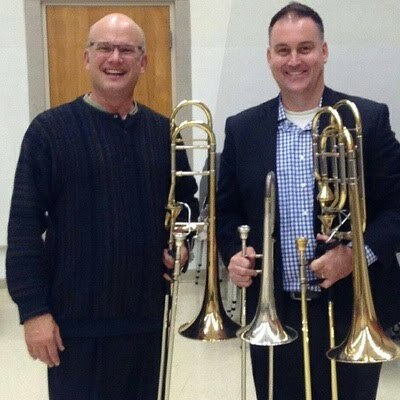 Dr. John Tranter, Affiliate Faculty, has served as an instructor of Low Brass at the University of Minnesota since Spring 2003, and is an active freelance musician in the Minneapolis/St. Paul metropolitan area. In addition to performing regularly with the Saint Paul Chamber Orchestra, Mr. Tranter has also performed with the Minnesota Opera, the JazzMN Big Band, and many touring Broadway shows at local venues. The University of Minnesota School of Music offers a comprehensive learning environment, and our students also enjoy the many benefits provided by our metropolitan location. Many of our students have developed successful local freelance performance and teaching careers during their years in Minnesota.The Twin Cities area boasts a thriving live music scene, including the Minnesota Orchestra, Saint Paul Chamber Orchestra, Minnesota Opera, Jazz MN Big Band, numerous chamber music and choral music series, jazz clubs booking local and national performers and an endless array of clubs featuring rock, blues, ska, salsa and other music. Most venues are within a short drive or bus ride from the School of Music, and many offer reduced ticket prices for students. There is also a busy music theater industry featuring local and national productions of Broadway shows. 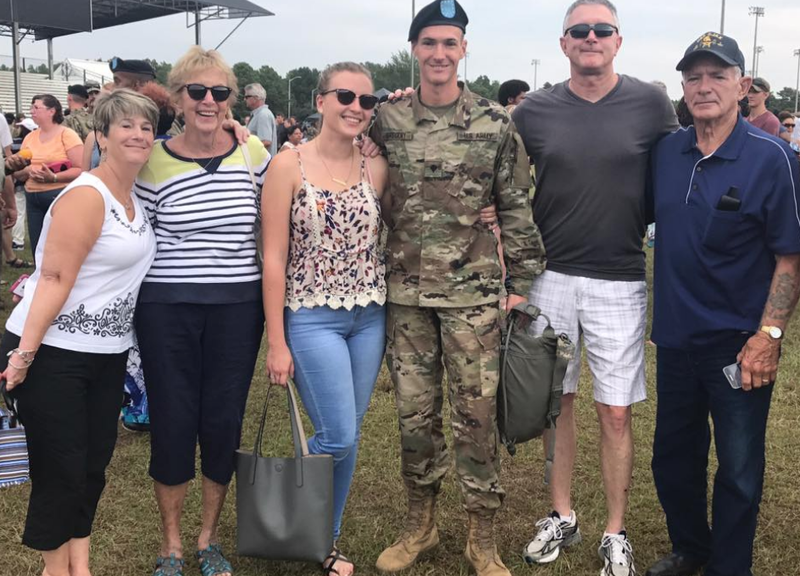 Weekly applied lessons will focus on tasks at hand, including solo and chamber music recital repertoire and excerpts required for orchestral and/or military ensemble auditions. You will notice a constant emphasis on achieving musical goals through listening, score study and focused practicing. For entering students, the first semester of lessons generally focuses on refining core concepts such as posture, breathing, sound modeling, articulation, flexibility and range. Physical skills are honed through working on technical and lyrical etudes, as well as assignments from my own compilation of proven exercises. Digital audio and video recording provides additional feedback to the student, and students can be provided with CDs of their in-lesson mock auditions and recital rehearsals. Chamber music (assigned and sight-reading) is an integral part of applied lessons, and students can expect to play duets by Telemann, Bach, Beethoven, Boismortier, Defaye, Matej, Pederson and a variety of other composers. Chamber music puts a premium on listening skills, and students are challenged to react to subtle changes in dynamics, tempo, timbre, vibrato and articulation. Students are also expected to be aware of the importance of melodic (horizontal) and chordal (vertical) intonation. Orchestral excerpts are often assigned, and students preparing for auditions will have mock auditions in lessons. Excerpts are digitally recorded, reviewed at full and half speed and can be uploaded to the student's Google Drive following the lesson. The student and I use a standardized audition comment form to make written notes on Sound, Pitch, Rhythm, Technique and Style. Students are taught to practice each excerpt "in layers", focusing on each of these five critical elements of ensemble performance, and are given specific practice techniques to develop a polished and musically convincing final product. 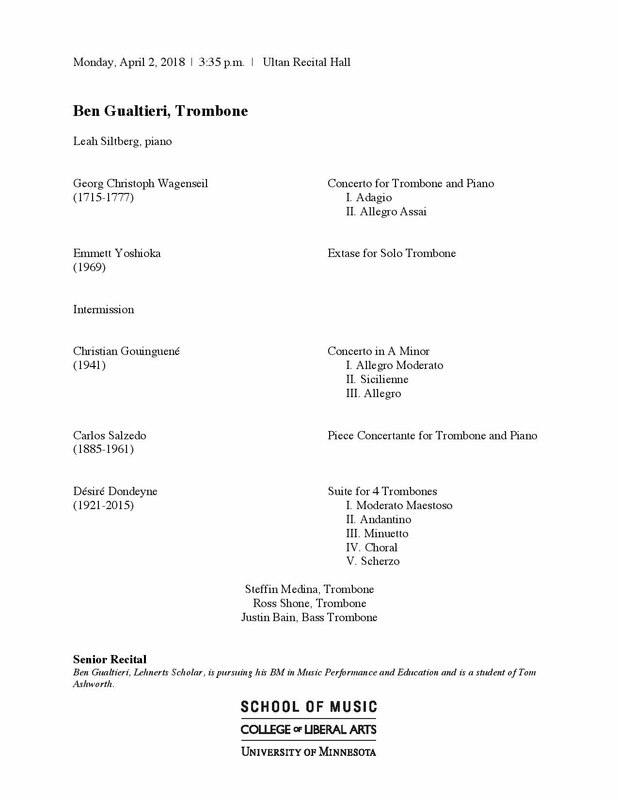 Brass Recital Hour, 3:35pm on Mondays in Ultan Recital Hall: This is the assigned time for Brass majors presenting degree recitals. Students benefit from hearing each other perform solo and chamber music recitals, and are exposed to a wide range of repertoire and performance styles. The performers enjoy having a large audience of their friends and peers. Some Brass Recital Hours will feature special presentations by UM faculty or guest artists. Trombone Studio Class, 3:35pm on Wednesdays in Ferguson #95: Studio Class provides students the opportunity to perform for their peers, develop critical listening skills and learn more about their instrument’s repertoire and pedagogy. Juries are scheduled at the end of each spring semester, and are graded by a panel of UM Brass Faculty. Jury repertoire typically includes solo repertoire and orchestral excerpts. Students presenting a full recital during the second half of the spring semester may elect not to present a Jury that same semester. Students in the BM-Performance program are required to present Junior and Senior recitals, and many choose to present additional recitals during their first two years of study. 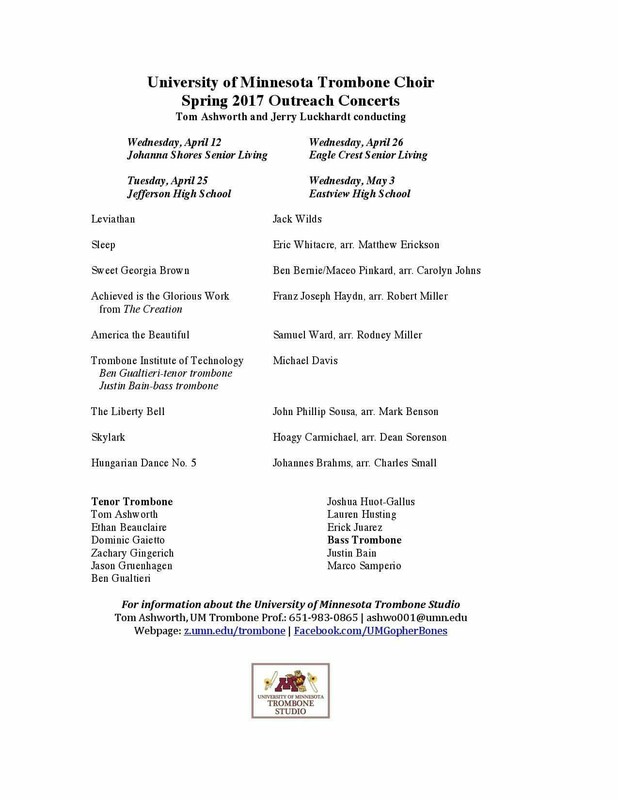 Students pursuing the MM are required to present one solo recital, and most are also involved in a graduate trombone chamber ensemble recital. We have two distinct DMA degree programs, each with its own recital requirement. The traditional DMA program requires a total of five recitals, typically four solo recitals and one chamber music recital with a graduate trombone quartet. Those DMA students declaring a Secondary Area (Theory/Composition, Musicology, Music Education) are required to present three solo recitals, and they have an increased academic component in their Secondary Area. Doctoral students in the traditional DMA degree program who win our annual Concerto Competition or a significant external solo competition may count those performance as one of their DMA solo recitals. 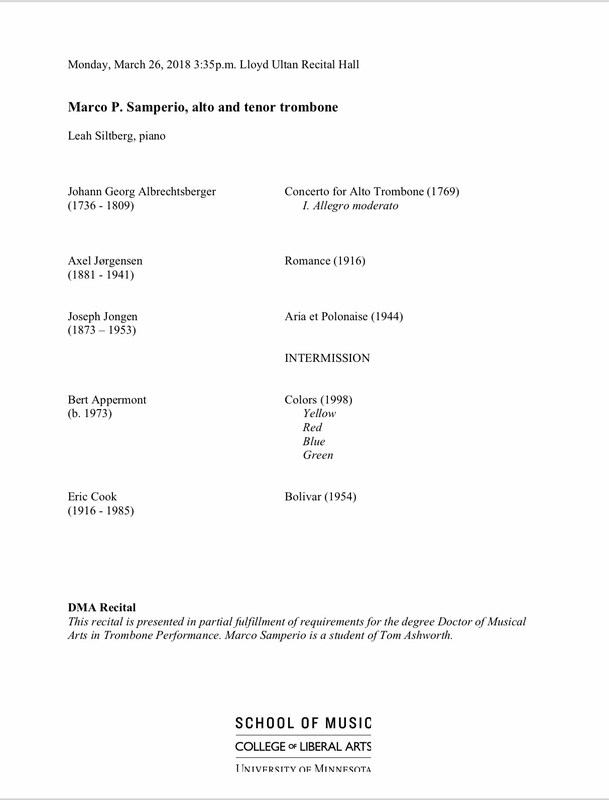 Certain professional-level invited solo performances can be considered for DMA solo recital credit for students in the traditional degree program. With all solo recitals, music is selected during the semester prior to the recital, with the goal of broadening the student's repertoire and improving their technical skills. Thanks to our outstanding graduate program in Collaborative Piano and our metropolitan location, there are numerous experienced pianists available for recitals. All collaborative artists must be cleared by me before the recital is scheduled for one of our weekly Monday afternoon Brass Recital Hours. After performing an ensemble audition during the first week of the Fall semester, six to eight trombonists are assigned to a rotating pool of players for our Wind Ensemble and Symphony Orchestra, with the remaining students being assigned to the Symphonic Band and/or Campus Orchestra. Spring semester ensemble placement auditions are scheduled at the end of the preceding Fall semester. Students can also perform with a Jazz Ensemble, Jazz Combo, Brass Choir or Trombone Quartet (as arranged). Graduate students receiving financial assistance should refer to their award letters for specific ensemble requirements. For complete information on degree requirements, please see the BA, BM, MM and DMA listings under Degrees and Programs. Prospective doctoral students should review the section regarding our optional Secondary Areas of study. You can also download the complete Graduate Handbook, which is full of useful information. Graduate students interested in transferring existing graduate credit must have all potential transfer credits approved by your advisor (Professor Ashworth) and the Director of Graduate Studies. Previous courses and/or applied lesson credits do not automatically transfer. 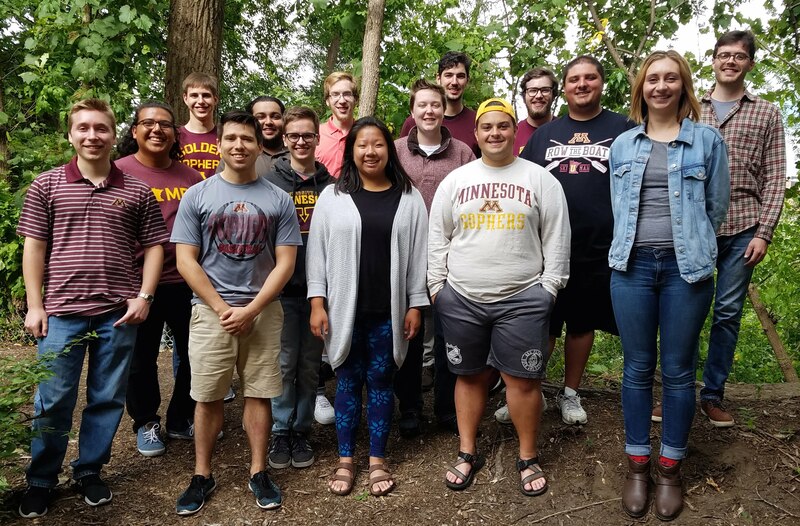 All graduate and undergraduate music majors transferring to the University of Minnesota must perform a Transfer Jury at the end of their first semester of study (Fall or Spring). Based on that Jury and the quality of work in that first semester of lessons, the UM Brass Faculty decide how many (if any) previous lesson credits will be applied to the student’s degree. The School of Music requires all entering graduate students to take the diagnostic exams in music theory and music history during Welcome Week (the week prior to the beginning of classes in the Fall) or at the first available opportunity for those entering their degree programs during a term other than Fall. Please see the Graduate Handbook for complete information on our diagnostic exams. I strongly encourage all entering graduate students to invest considerable time preparing for these diagnostic exams, in order to avoid repeating undergraduate-level courses and to ensure that the have the maximum amount of time and energy to commit to their instrument and graduate-level courses. Choosing a school is a major decision and will have an enormous impact on your life, so please invest the time and money and schedule a visit to our campus. Many prospective students schedule visits during the summer and/or semester prior to their auditions, others arrive several days before our official on-campus audition dates. Visiting students meet with me to discuss educational and career goals, and to review audition repertoire. I also enjoy meeting with parents to discuss the many important issues involved in choosing the appropriate school and teacher. A complete two-day itinerary could include a tour of the University and the School of Music, classroom and ensemble observation, meetings and possible chamber music reading sessions with current students and appointments with appropriate faculty and staff members. It also provides you the opportunity to explore the local housing market. 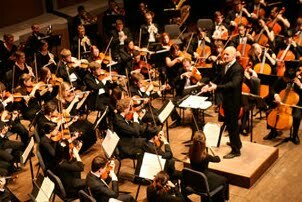 In addition, many visiting students attend Minnesota Orchestra and/or Saint Paul Chamber Orchestra concerts or visit one of the area's fine jazz clubs. Please contact me ASAP if you would like to schedule a pre-audition visit. Special audition times can be arranged if you are unavailable on our official audition dates. Apply to the School of Music. All trombone audition repertoire must be confirmed with Professor Ashworth via email at least one month prior to your audition date. Please review the important guidelines for undergraduate and graduate applicants. 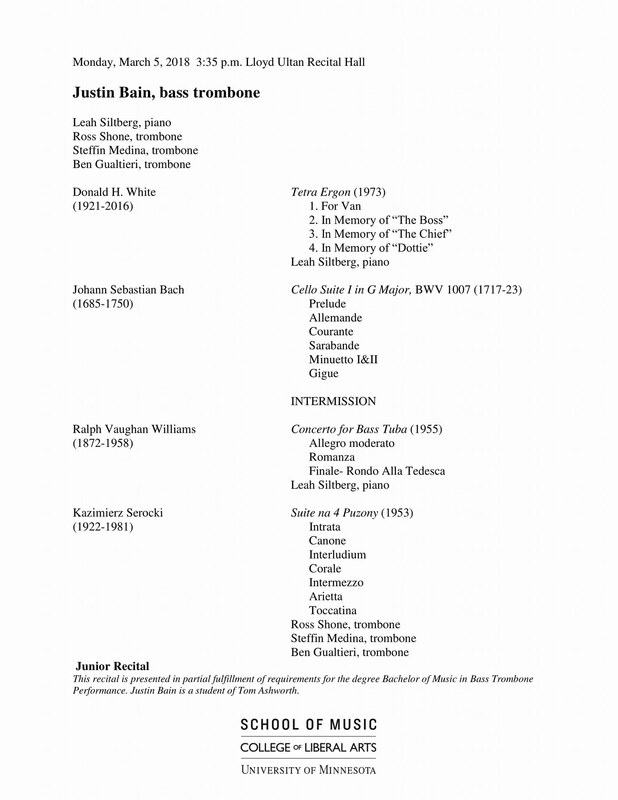 I also encourage students to view my list of Suggested Audition Repertoire. I would encourage you to contact several of my current students to discuss these important issues, and I can provide you with phone numbers and/or email addresses. The majority of our new undergraduate students are assigned to the Middlebrook dormitory-if they take care of the paperwork and deposit very early in the application process. While this does not guarantee you a spot in Middlebrook, it does greatly improve your chances of living there-right across the street from the School of Music! For graduate students, I always recommend the Roseville/Lauderdale/St. Anthony Park/Falcon Heights area. 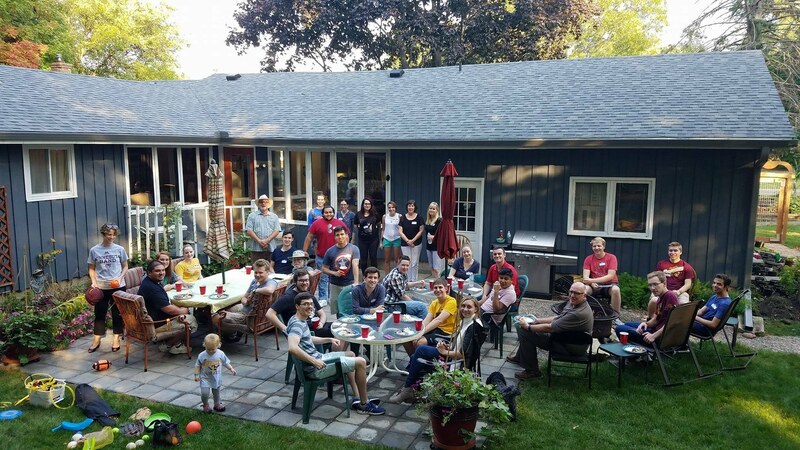 It's a very central and safe location, approximately four miles from the School of Music and about ten minutes from Orchestra Hall in Minneapolis and the Ordway Theatre in St. Paul. There is plenty of shopping close by, including Cub Foods, Target, Barnes and Noble and the large Rosedale Mall. This area is very close to the UM Saint Paul campus (primarily agricultural sciences), which has a very nice gym with a pool. You can walk to the UM Saint Paul campus bus transit hub and ride free to the main UM campus, including the School of Music on the West Bank of the Mississippi River. The area is also served by the MTC buses (Metro Transit Corp.), which have great routes to campus. Other graduate students prefer to live closer to school, on the West Bank or across the river in the Dinkytown area. 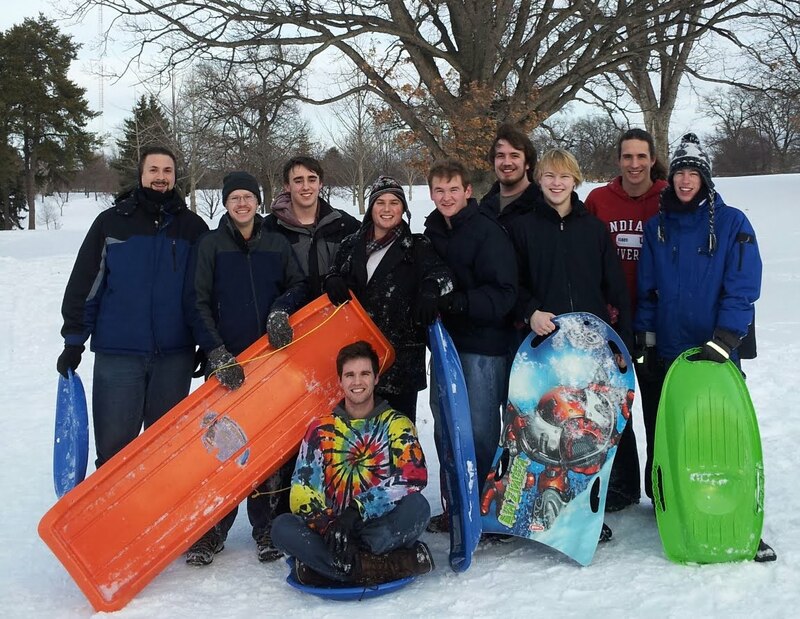 I have also had students locate in the Uptown area of Minneapolis, close to the central lake district. Regardless of the location, it’s a good idea to look for an apartment that has off-street parking and gas (heating) included in the rent. While I cannot make any promises as to financial assistance, rest assured that I will always be a strong advocate for our Trombone prospects. There are undergraduate scholarship funds available for top Performance, Music Education and Music Therapy prospects, and the prestigious Groth Music Scholarship is awarded to select prospective Music majors (except BA) who are also admitted to the University of Minnesota’s Honors program. Scholarship options for graduate Music students include talent-based awards and Graduate Teaching Assistantships. Prospective graduate students should tell me what they consider to be their strongest complementary teaching fields (theory, musicology, jazz, music technology, non-major courses, etc. ), and I will explore any options available for the coming year.